Engines are covered by new 100% Engine Program TAP Elite Advantage Blue. Overall Matterhorn White with Black Metallic And Light Saddle Metallic stripes, some minor paint cracks and chips as with all Premiers. The seats in this interior are completed in Birch Leather. The headliner is completed in Tumbleweed Shimmer fabric. The carpet is Latte Frieze. The upper sidewalls are in River Sand Marshall fabric and the lower sidewalls are in Birch Leather. Brass Medium Aged Antique metal plating and Showcase Mahogany laminate. 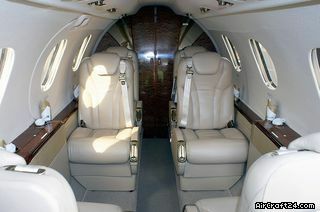 Six passenger chairs in cabin: four arranged in forward club configuration and two forward facing aft seats. All chairs have retractable adjustable headrests, retractable inboard armrest, 3-point restraint system, life vest storage, seat back storage. Aft cabin has nonbelted flushing toilet. 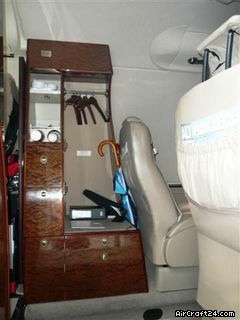 Aft cabin partitions with sliding privacy doors. Forward RH refreshment/hang up baggage cabinet. Two executive tables w/leather work surface. 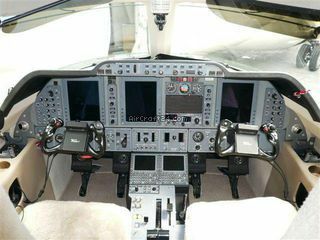 will be sold with valid Export CofA ready for EASA and all AD's up-to-date. Price new was US$ 6,258,600 ! 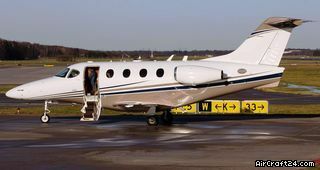 MAKE BEST OFFER around.$2,250.000 ex VAT. 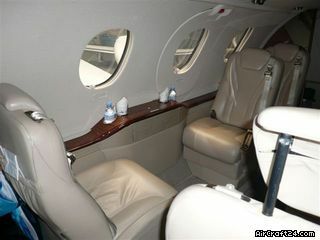 ALso available: 2005, 2006, 2007, 2008 , 2009 and 2011 pre-owned 1A jets, inquire, e.g. 2011 PREMIER-1A under 400 h TT like new. Inquire.